First published in 1920, this final volume in a three-part series examines the Gospel of John. 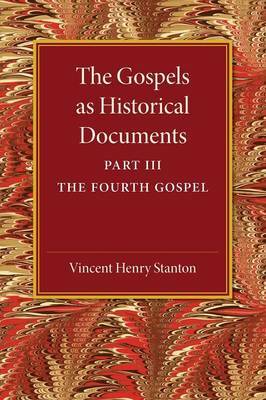 Stanton investigates the environment in which the Gospel was composed, its attribution to the disciple John son of Zebedee, and its relationship with the Synoptic Gospels. This book will be of value to anyone with an interest in Church history or in the transmission of biblical texts.